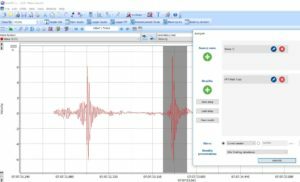 SvanPC++ Building Vibration module displays the data from building vibration measurements in a standardised format. 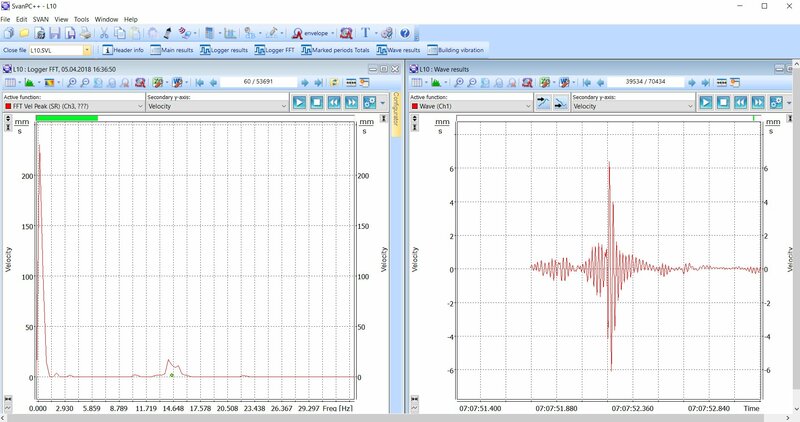 Vibration events, alarms and time history can be displayed on a plot showing the Peak Particle Velocity and Dominant Frequencies as well as time-history plots. 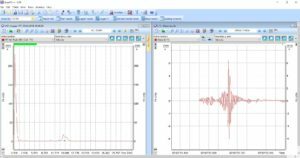 The detailed analysis can be performed with use of FFT or 1/3 octave spectra from the data file or it can based on recalculation of the WAV files. 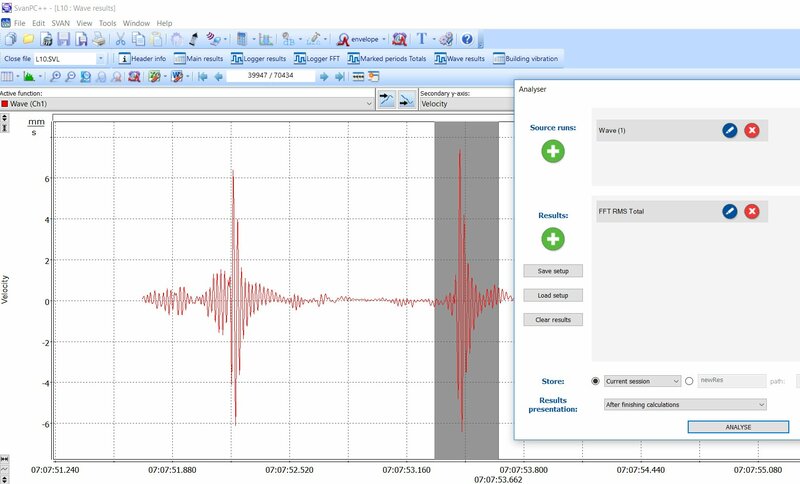 With the WAV analysis software you can search for peaks and calculate FFT or 1/3 octave spectrum on selected time periods. The software comes with the system with no extra cost involved.